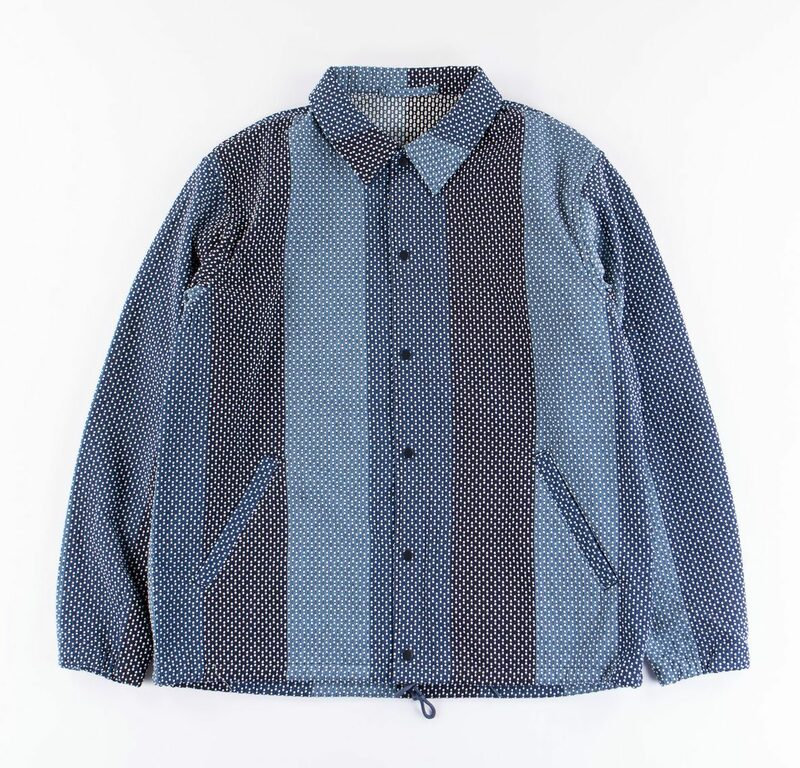 Tokyo based label KUON have a habit of creating pieces that appear too good for your existing wardrobe. As though when worn, mixed in with your other pieces, they’ll protrude, illuminated, making the rest of your fit look like Uniqlo. 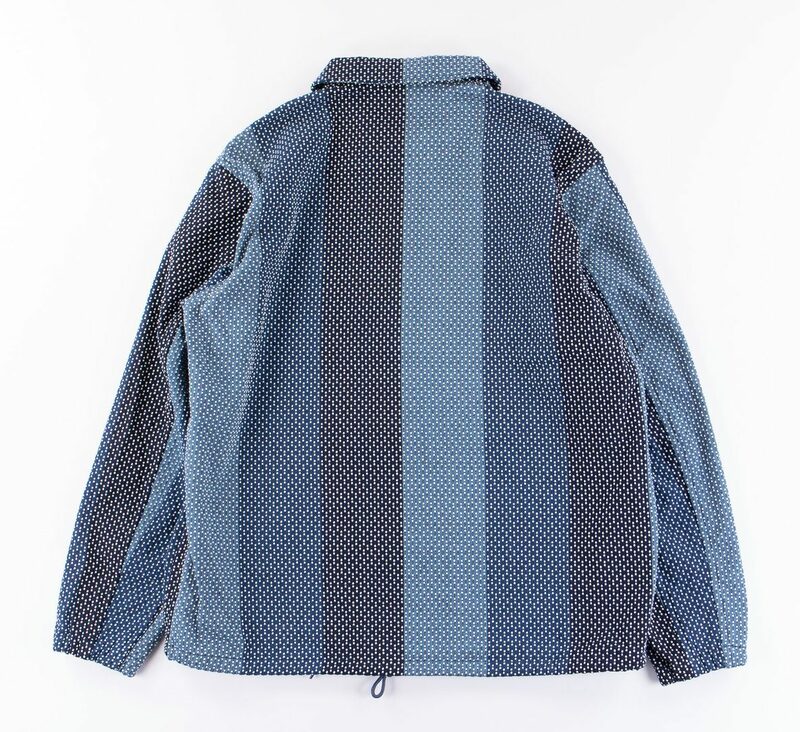 This terrifying sashiko coach jacket is perfect example; more detailed than strictly necessary, a miscellany of shades, dyes, stitching and texture. Up against this, even your crispiest cotton chinos will seem like a proctologist’s apron. 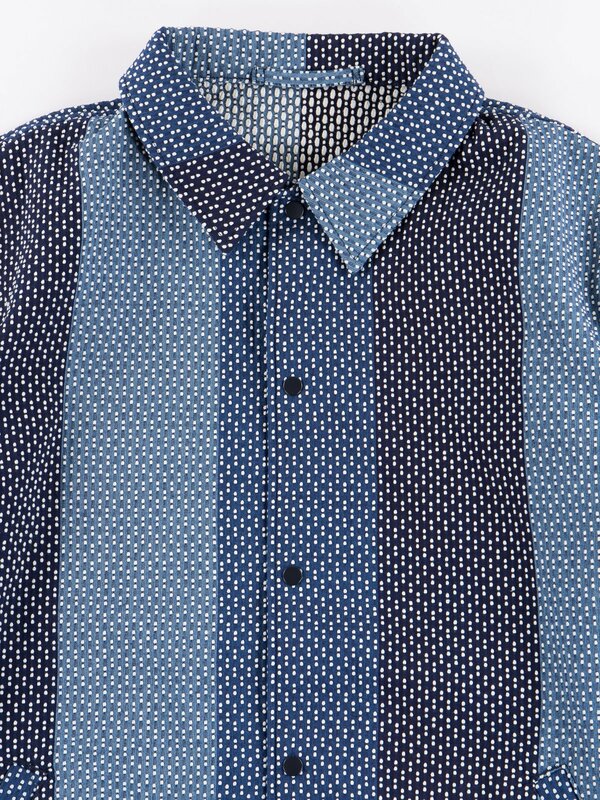 It’s all in the sashiko stitching of course. And the indigo-dyed thread. 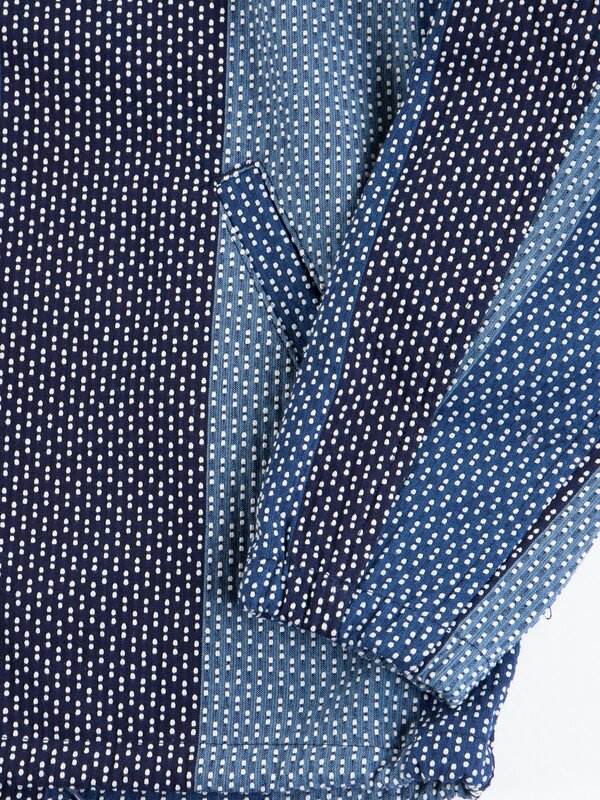 Cut-wise it’s pretty simple, a boxy coach style, with a couple of front pockets, popper fastenings and a drawcord hem. But with fabric this frantic, the last thing you want is an asymmetrical hem and more than the regulation two sleeves. It’s wearable, beautiful and sure to age well. Course, this level of heat demands a capacious wallet. But if you’re feeling fat of papes head over to The Bureau and cop. Be warned, you won’t get much change from £715. In fact you won’t get any change. If I had £715 I would buy this. I mean, why wouldn’t you? It boasts the beauty of a new star system, the complexity of an AI Go champion and the price a second hand Mazda. Hold a compass over this and the needle will spin. Stare at it too long and you’ll feel your wallet unzipping on its own.